Brazilian Jiu-Jitsu is a fighting system based on grappling and ground level combat, which has become a global phenomenon due to its popularity in mixed martial arts fighting (particularly the Ultimate Fighting Championship). It is an extremely effective self-protection system and also a competitive sport. It was developed by the Gracie family. At Krav Maga Evolution, we're offering this dynamic self-defence system to men and women all across Moorabbin and Bentleigh and we can't wait for you to get started. PLUS, we have Kids Jiu-Jitsu training, too! What Can You Expect From Our Brazilian Jiu-Jitsu Classes? At Krav Maga Evolution, we have a strong focus on teaching and practicing self-defence techniques that work for real-life situations, not just for the sole purpose of fitness and competition. We also advocate a structured curriculum so our students can measure and gauge their progression in training. Why Is Brazilian Jiu-Jitsu Right For You? People who learn and practice BJJ notice amazing improvements in their flexibility, mobility and core strength. The training itself is regarded as an extremely addictive experience that works the mind as much as the body, which is why it is often referred to as “human chess”. Brazilian Jiu-Jitsu is an intense fitness experience, guaranteed to change your body in ways you would never imagine. GET READY TO SWEAT! Try Out Our Brazilian Jiu-Jitsu Classes Today! We're Proud To Serve All Of Moorabbin And Beyond! 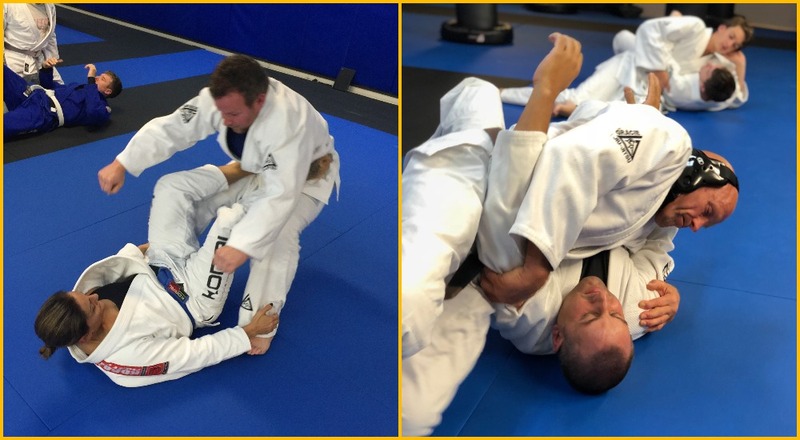 At Krav Maga Evolution, we're working with people of all ages and skill levels, helping you learn the art of Brazilian Jiu-Jitsu and have a great time in the process. We are proud to train men and women from across Moorabbin and Bentleigh and we can't wait for you to be next.